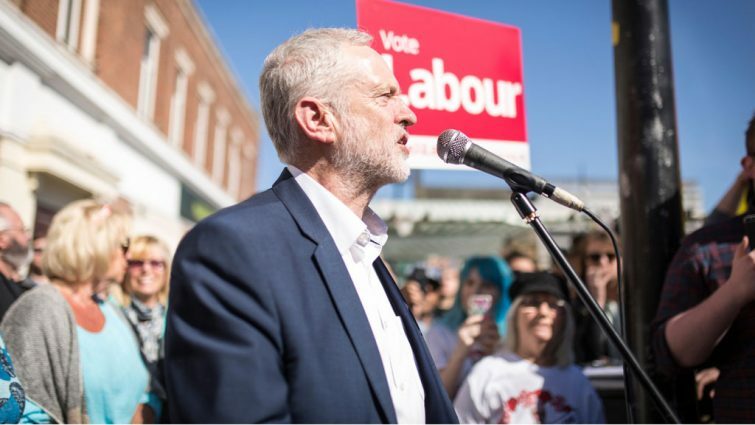 Although Jeremy Corbyn has topped the list of most frequently reported political figures in the second week of formal campaigning – with several other Labour representatives also climbing up the chart – the majority of coverage has been critical of the party and its manifesto. In comparison, levels of positive and negative press coverage of the Conservative party have all but cancelled each other out.Report co-author Professor James Stanyer said: “Over the past week the media spotlight shifted on to Jeremy Corbyn, Labour and their policies, but this has not been the good news the party hoped for.“Coverage has been in the main negative, focused on the leaders persona and the perceived impact of manifesto policy pledges. The attack has been led by the Tory supporting tabloids, with a supporting role from some broadsheet newspapers.”Overall, Labour and the Conservatives have commanded 71% of the appearances on TV and 85% of press coverage so far, tightening the ‘two party media squeeze’.This media dominance far exceeds their position at the same stage of the 2015 General Election. The Liberal Democrats, SNP, UKIP and the Greens have received consistently lower levels of coverage in the 2017 media campaign so far. Read the full General Election media analysis report.